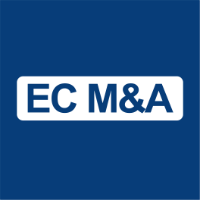 Monika joined EC M&A in 2012 and focuses on providing M&A and strategic advisory services to clients within the industrials and life sciences sectors. She provides M&A origination and execution services on small-to-middle market cross-border deals across Europe, North America and Asia. Prior to joining EC M&A, Monika worked for Nomura’s Investing Banking group in New York where she focused on the Oil and Gas sector. Monika has also worked in a corporate development role with Dresser-Rand in Houston where she focused on buyside acquisitions for the company. Monika received her MBA from Duke University’s Fuqua School of Business and is a Chartered Accountant from the Institute of Chartered Accountants of India. She is a Registered Representative and holds Series 79 and 63 FINRA licenses.